Taking into account the latest editions of ECER and particularly of the NW19 programmes, it has become increasingly evident that ethnography of education has always worked with multiple perspectives, but has prioritized sustained first-hand engagement in the lives of a group of people. New times have brought new challenges. Particularly globalization has brought the need for careful studies not only within but also across groups, levels, spaces, and times. Anthropologists and ethnographers have therefore had to move away from only studying bounded or distinctive groups, to studying culture as composed of circulating and often contentious symbols and logics that are taken up and re-purposed in on-going social practices and across social and geographic boundaries. To advance the ethnography of education in new times, not only do we need to cross borders and become more global in line with mobile modernity, we also need to get outside the classroom and school more than in the past. There is an emergence of new modalities of multi-scalarity, network ethnography and ethnographies of visual and on-line-off-line cultures that enable researchers or teams to cover more sites and compare more differences than before. Demands in research today are global, as well as local, and inside institutions as well as outside them and being both situated and mobile. This education programme will identify what cutting edge research and researchers in the ethnography of education have said and above all written concerning what the new research conditions mean for practices. Places and spaces for educational ethnography. Learning and teaching in institutional and non-institutional settings in educational ethnography. The scalarity of educational ethnography. The season school is organized in a three days period with different types of sessions where the discussion is engaged with individual student’s research projects and related to the previous proposed sub-topics. Each participant will have the opportunity to discuss and develop their own project in collaboration with other research students, early career researchers and experienced tutors. The space chosen for this season school, University of Barcelona’s Campus Mundet, seems like a good environment for this kind of experience. There is also an idea of cross-discipline, aiming to transform the place into a laboratory, open to experimentation and discussion proposed in these three days of immersion. All the participants work together, sharing, thinking and doing all the sessions, even though, sessions are organized in different ways, giving space for individual and collective presentations. All the sessions will be recorded (audio and image) for future work and data analysis. To each sub – topics we invite different mentors aiming to open and promote a research space for collaboration and networking between them and early career educational researchers. Accommodation and meals will be provided, but participants will have to cover the cost for their travel to Barcelona. Travel bursaries are available to students from low-GDP countries. For more information please check the application form. PhD students and early career researchers. Research group ESBRINA, University of Barcelona, and network of excellence REUNI+D. University of Zaragoza. Department of Education Sciences at the Faculty of Education. 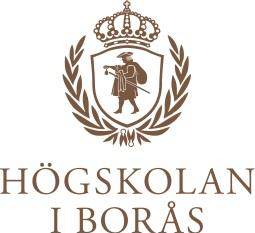 University of Gothenburg. Department of Education and Special Education. Research Center Children, Childhood and Schooling. University of Porto. Centre for Research and Intervention in Education (CIIE) of the Faculty of Psychology and Education Sciences. Doctoral Program in Education and Society. Faculty of Education. Programa de doctorado de Artes y Educación. Facultad de Bellas Artes. 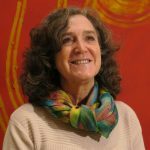 Juana M. Sancho-Gil is full professor of Educational Technologies in the Faculty of Education of the University of Barcelona. 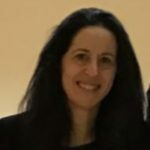 She is the coordinator of the research group ESBRINA – Contemporary, Subjectivities, Visualities and Educational Environments (2017SGR 1248): , and REUNI+D – University Network for Educational Research and Innovation. Social Change and Challenges for Education in the Digital Age (EDU2015-68718-REDT). She has an extensive and solid experience in promoting research policy at an institutional level, advising research programmes and projects, and assessing and managing research projects. In 1986 she won the national research prize for the ethnographic study “Entre pasillos y clases -Between corridors and classrooms”, carried out in a secondary school. 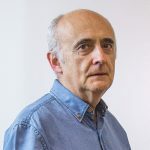 Fernando Hernández-Hernández is professor of Contemporary Visualities, Psychology of Art and Arts-based Research in the Unit of Cultural Pedagogies at the Fine Arts Faculty of the University of Barcelona. He is a coordinator of the Postgraduate Programme in Arts and Education. 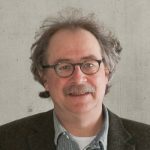 He is a co-coordinator of the research group ESBRINA – Contemporary, Subjectivities, Visualities and Educational Environments (2017 SGR 1248); and a member of REUNI+D – University Network for Educational Research and Innovation. Social Change and Challenges for Education in the Digital Age (EDU2015-68718-REDT). He has extensive experience in educational ethnographic research particularly in youth participatory ethnography and meta-ethnographic analysis. He has written with Juana M. Sancho a chapter on “Writing and Managing Multimodal Field Notes” for the [Oxford] Encyclopedia of Qualitative Research Methods in Education. Begoña Vigo Arrazola is Associate Professor of the Faculty of Education in the University of Zaragoza, Spain. She is coordinator (PI) of the Reference Research Group in Education and Diversity. She is participating in different research projects. Her publications are in the field of educational ethnography, teacher education, rural school and inclusive education. 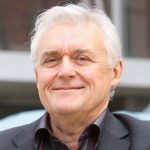 Dennis Beach is Professor of Education at the Department of education and Special Education, University of Gothenburg and the Faculty of Library, Education and Information Sciences at the University of Borås. His main research specializations are in the sociology and ethnography of education and education policy research. He was the Chief Editor for the journal of Ethnography and Education from 2013 to 2018 and is currently a senior commissioning editor for the Oxford Research Encyclopedia section on Education Research as well as the Chief Editor for the forthcoming EERA book series in Educational Research. He has published extensively in the fields of justice and equity in education, educational research methods, higher education policy, teacher education and teacher professionalism. Christoph Maeder is professor of educational sociology at the University of Teacher Education Zürich, Switzerland. He has worked on organizational issues as ethnographer in various social settings (schools, welfare agencies, hospitals, prisons, harm-management, unemployment programs) in a sociology of knowledge perspective. Maeder is a former president of the Swiss Sociological Association, a founding member of the RN 20 “Qualitative Methods” of the European Sociological Association (ESA) and network convenor for the RN 19 “Ethnography” of the European Educational Research Association (EERA). His current work is on ethnosemantics as a method for ethnographic research and on kindergartens as social organizations. 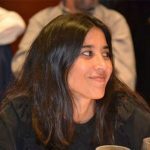 Sofia Marques da Silva is Assistant Professor at Faculty of Psychology and Educational Sciences, University of Porto, Portugal, and member of CIIE – Educational Research and Intervention Centre. She holds a PhD in Educational Sciences since 2008 and has research experience in doing ethnographic research on youth cultures, gender and education, but also quantitative research on youth and schooling. Lately has been involved in online and offline ethnography with young people from border regions, resilient schools and communities. She is editor in chief of the Journal Ethnography & Education. She is one of the national coordinators of the inter ministry initiative INCoDe.2030, aiming to promote digital competence at national level. Within this initiative she is coordinating the Axis 1 – Digital Inclusion. 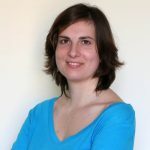 Sara Carrasco Segovia is a Post-doctoral researcher and a visiting professor in the Faculty of Fine Arts of the University of Barcelona. 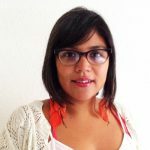 She is a member of the research group ESBRINA – Contemporary subjectivities, visualities and educational environments. She has participated in different research projects. Her publications are in the field of artistic education, art based-research, body/corporeality, performativity and education, and teacher education. Judit Onsès. From science to architecture. From architecture to Fine Arts. From Fine Arts to educational research and artistic-educative projects. Always moving, moving from the new questions that are emerging in the same move. Playing with realities. Asking oneself about the different realities that coexist in the becoming. Learning doing things with different people and communities. Her research interests are educational spaces and places, arts-based research, ‘post’ theories and new materialisms, and visuals in art and education.